Sony has announced that its 3D firmware update which is being piped to its latest range of Blu-ray players and the PlayStation 3 will not make the PS3 compatible with upcoming 3D Blu-rays. Instead, the update will ready the console for 3D games, of which there will be four in June. The four titles coming out in a 3D flavour are: Wipeout HD, Motorstorm Pacific Rift, PAIN and Super Stardust HD. 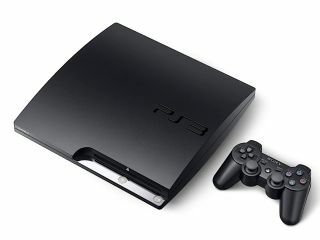 The PlayStation 3 will eventually get 3D Blu-ray compatibility but this is to come in the form of another firmware update later in the year. While it's great that Sony will be offering 3D for free on the PS3, the delay of 3D Blu-ray on the console will be a blow to those PS3 owners looking to buy a 3D TV and save money on not purchasing a 3D Blu-ray player. Sony announced this week that it will be offering bundle deals with its 3D Blu-ray player range. The company also unveiled its first 3D Blu-ray release Cloudy With A Chance Of Meatballs will be coming to Europe in June – something which is bound to tease those waiting longingly for the PS3 3D firmware update.